1. Research well: Do not hire a random videographer. You must understand that your videographer would have such a huge responsibility on his shoulders. Therefore, you should conduct a fair amount of research before hiring a wedding videographer. At first, you should gather a list of videographers by seeking recommendations from your friends or relatives. Then you should visit their websites and see what their clients have said about their service. 2. Watch sample videos: You would definitely get a couple of sample videos on the website of every videographer. Watch as many videos as you can to have an idea of the videographer's work. 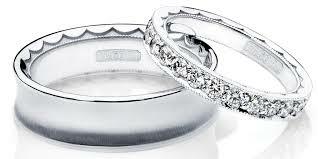 You should also check the sound quality, especially during vows and speeches. If you are impressed with the sample videos, then you can approach the videographer for an interview. Will there be any other videographer with you who will shoot the wedding? What will be the style of the video? Will it be documentary or cinematic? How many years experience do you have in making wedding videos? Have you worked at the venue where I will be having my wedding? Do you know my photographer? Which camera and equipment will you be using for the shooting and the editing processes? Will you show me a sample finished product? What are your packages? 4. Stick to your budget: The wedding videographer will definitely try to sell you an expensive package. Therefore, you should stick to the budget so that you don't end up spending a huge amount of money on your wedding film. 5. Consider his personality: Even if you are satisfied with all the answers of the wedding videographer to the questions that you have asked him, do not hire him if he has a rude personality. A wedding videographer must have an endearing and amicable personality. 1. Table games: Games are always fun. Table games would be enjoyed by all your guests. The table game called "Mad Libs" is a nice way through which your guests can bond with each other as they ask questions. There are several other table games that you can play at your reception. 2. 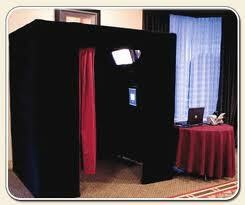 Arrange a photo booth: A photo booth is a great way to keep your guests entertained. There are several wonderful props inside a photo booth where your guests can click some awesome pictures. 3. Hire an artist: To make your reception full of fun and entertainment, you can hire an artist who would make portraits of your guests who are interested in getting themselves sketched. 4. A fancy guest book: Instead of keeping a traditional guest book in your reception, go for something fancy and colorful such as a wishful tree where guests can write down their messages or a huge photograph of the couple around which the guests can write down their wishes. 5. Word search napkins: You can keep word search napkins on each guest table where the guests need to find out the names of the couple. The guest who finds the maximum number of the couple's name hidden in the napkins wins a special hamper. 6. Set up photo stand-ins: A photo booth is definitely a great idea, no doubt. However, if you want to make your reception more lively and fun, then you can set up a hilarious photo stand-in where the guests can pose for a funny picture. 7. Display some romantic pictures of the couple: You can display some beautiful and romantic pictures when you were dating each other before marriage in your reception. Your friends and family would love to see those romantic moments that you and your partner have shared. It would add a wonderful romantic vibe in the reception. 1. Check portfolios: Before hiring a stylist, go through the portfolios of many stylists. You should hire the stylist whose portfolio impresses you the most. A great portfolio implies that the stylist is very good at her work. 2. Stick to your budget: Before you meet a stylist, decide how much you intend to spend on your hair styling. After deciding your budget, stick to it. It will be a really foolish decision to spend a large amount of money on getting your hair styled. 3. Hire early: You should hire a hair stylist as early as possible. It won't be a wise decision to postpone the job of hiring a stylist. This is because the best stylists are always in demand. Therefore, if you don't hire them on time, their dates would be booked. Start looking for a hair stylist two to three months before the day of your wedding. 4. Experience matters: You should choose a hair stylist who has a decent amount of experience in bridal hair. It is quite a strenuous task to style the hair of brides. 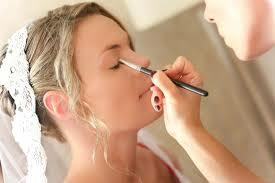 Therefore, you can confide in the person who has already styled the hair of many brides. 5. Ask questions: When you are interviewing a hair stylist, ask questions such as "Which hairstyle would look perfect on my hair?" and "Which hair accessory will suit me the most?" Her prompt and confident reply would give you some hint about her service. 6. The hair trial should be scheduled at least a month before the day of the wedding: You should not hire a stylist unless she promises you of a hair trial. It is a scary thought to not even have a hair trial before the day of the wedding. You should tell your stylist to schedule the hair trial at least a month before the day of the wedding. The earlier it is, the better it is. The hair trial would boost your confidence for the big day. It is a wonderful idea to have a theme-based wedding. When a wedding revolves around a particular theme, the decorations look beautiful and the guests can enjoy a lot. Nowadays, most brides opt for a theme based wedding where the flowers, music and menu can be well coordinated. Here are some beautiful theme ideas that you can choose for your wedding. 1. Vintage: This is one of the most popular and beautiful themes that a bride can choose for her special day. The elegance and class of a bygone era look definitely attractive. Lace is mandatory in a vintage wedding. Your gown should have some beautiful embellishments of lace. A soft color palette with slate grey, gold, ivory and rose looks pretty. You can hang some vintage chandeliers to justify the vintage theme. You can also use vintage bottles and a charming old-fashioned cake at your wedding. 2. Rustic Chic: This is also a very popular wedding theme. At first you need to find a great location. In a rustic chic wedding, three things are compulsory. A beautiful natural landscape, large usage of wood and décor that is simple. The natural theme looks classy and sophisticated. If you have a pet, you can make it wear a floral garland. A lot of flowers and greens should be visible in a rustic chic wedding. 3. Classic Romance: If you are a diehard romantic, then you should definitely choose the classic romance theme for your wedding. A classic romantic wedding is a timeless wedding. You should choose a dramatic and pretty fit-and-flare gown, which must have crystal detailing. The groom should wear a classic black tuxedo. You can choose pink or light purple for a beautiful romantic effect. However, if you prefer a regal look, then you can opt for white with gold or silver accents. You can use beautiful flowers and special lighting to complete the classic romance theme. 4. Ethnic: An ethnic wedding theme looks vibrant and colorful. Rich fabrics and beautiful jewelry make an ethnic wedding look gorgeous. The lighting in such a wedding should be very bright and strong. Creative centerpieces are used to embellish the guest tables. You should also hire musicians and dancers who can perform some cultural activities.